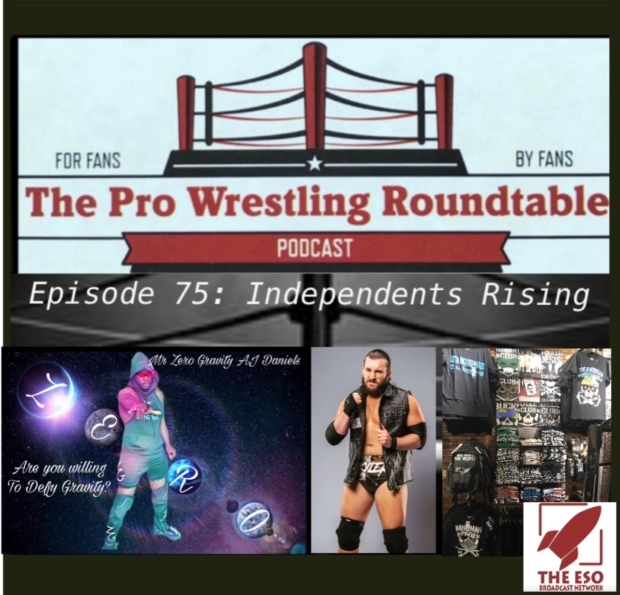 We are back with the 75th episode of The Pro Wrestling Roundtable Podcast which is all about the indy circuit of pro wrestling. Wrestling is in a special place right now with the popularity of ROH, NJPW, and the many wrestling organizations around the U.S. Jonathan Williams brings us an interview with “The Southern Savior” John Skyler as he talks about his experiences in ROH, WWE and his experiences on the road. After the interview we bring in “Mr. Zero Gravity” A.J. Daniels as we talk with him and get his take on Independent wrestling while getting a better idea of his career and life in wrestling. Its a great conversation on why we love all of Pro Wrestling.